An Aberdeenshire woman who said her life has been “completely changed” by a controversial mesh implant procedure has welcomed an apology from the Scottish health secretary. 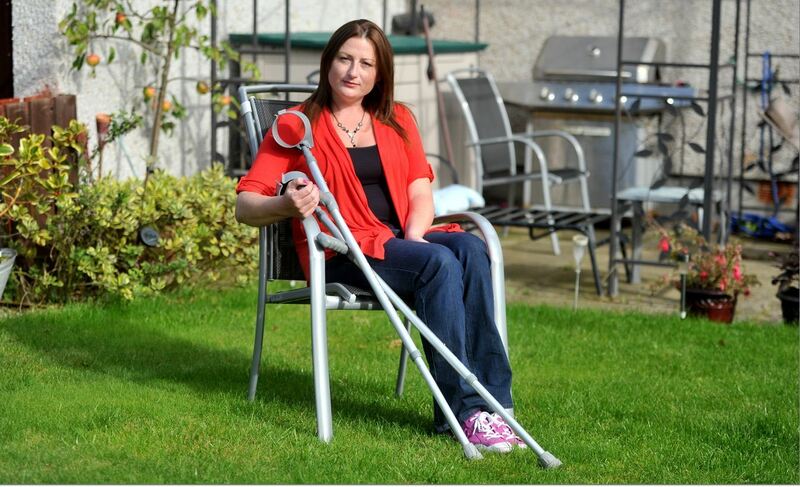 Nikki Lawrence is living in constant pain following the procedure, and has been unable to return to work since the operation five years ago. This week, the 36-year-old was one of a group of women who attended Holyrood’s public petitions committee after a publication of an interim report into the invasive vaginal operation. NHS Grampian is one of only five of Scotland’s 14 health boards to use mesh in clinical trials after Health Minister Shona Robison called for its suspension in June last year. The implants are medical devices used by surgeons to treat pelvic organ pro-lapse and incontinence in women, conditions that can commonly occur after childbirth. But many women have complained of severe pain after the procedure and the Scottish Mesh Survivors group are calling for a complete ban. At the hearing, Ms Robison said: “I’m happy to apologise to the women for having to basically campaign to bring it to everyone’s attention. Mrs Lawrence, of Stonehaven, last night welcomed the minister’s admission and said she hopes that NHS Grampian will soon stop using mesh completely. The mother-of-two said: “It was a very emotional day on Tuesday and I thought it was fantastic we got this apology from the heath minister. “For a long time we’ve felt ignored and been told our pain was all in our heads. An NHS Grampian spokeswoman said: “Randomised controlled trials were considered exempt from the suspension as these provide further high quality clinical information and are seen as an important integral activity to direct the future clinical management of pro-lapse and incontinence.